Thanks to sculptor, painter and author, Forrest Greenslade, for this guest post. 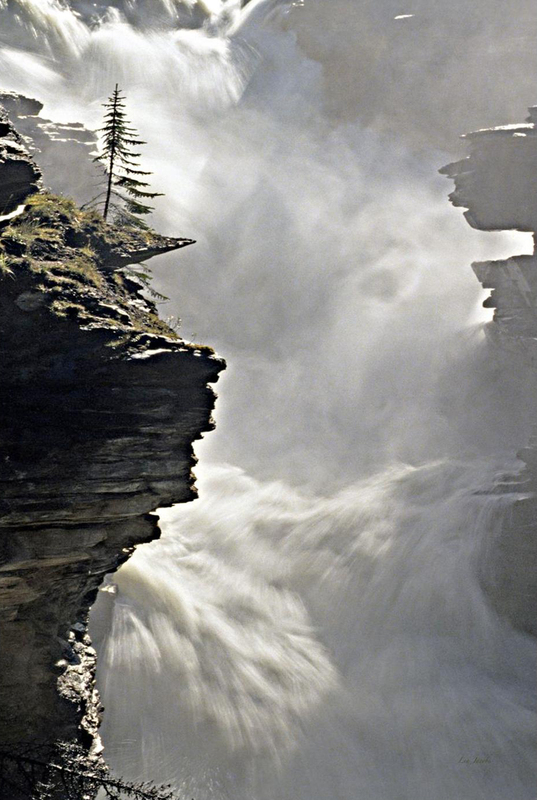 Len Jacobs will display his life’s collection of nature and travel photographs at his home studio during the 20th Chatham Studio Tour the first two weekends in December, but these visions are serendipitous. When Len Jacobs was a young child in the 1920s in the Harlem district of New York City, it was evident that he had some sort of vision problem. His vision problems increased, and when he was three years old, Len’s folks finally found an optometrist in Hackensack New Jersey, where they learned he had only 7% vision. ...[By now,] he has won numerous awards and recognition. The one he is most proud of ,however, was his "Ice Pattern" at the New York Metropolitan Museum of Art, Photography as an Art Form. Now in retirement here in North Carolina, Len Jacobs continues to share his life’s catalog of photographic experiences. ...The irony of it all is, that a man who was told to avoid physical activity, and that at the age of three might soon be blind, has used his camera to record and share with others some of the visual music of our beautiful world. 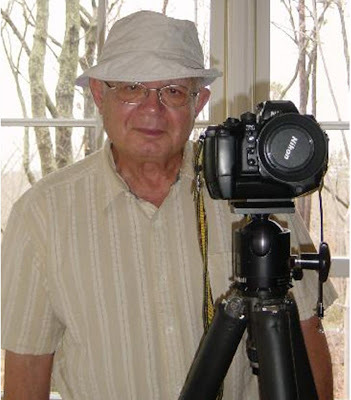 Len Jacobs is one of the many regionally and nationally recognized artists and fine crafts people who will open their studios the first two weekends in December at the 20th Annual Chatham Studio Tour (http://www.chathamartistsguild.org/about/details.html ). Visitors from all around enjoy Chatham’s rural beauty and share with the members of the Chatham Artists Guild in the creative process. It is a holiday tradition, and an opportunity to purchase unique original art. Full text of this post can be found here. 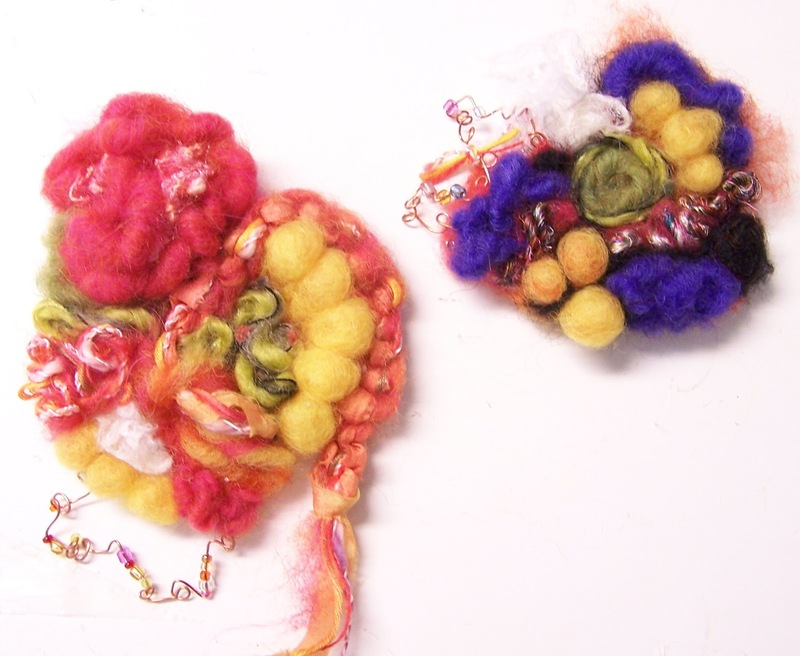 I've been having fun - a lot of fun - making wearable needle felting in the form of pins and necklace pendants. The number is growing by the day and they range from the monochrome to the crazychrome :). I've worked fabric, yarns, beaded wire, and paper with the wool fibers into little mini-art for your lapel, hat, scarf...or wherever you'd like to add a shot of colorful self-expression. There will be many of these at my studio when it opens on December 1 and 2, and 8 and 9. From 10 am-5 pm. See the Chatham Studio Tour for all the info.